Most US Postal Service stamps are pretty, but boring. I recently got some Wonder Woman stamps that looked awesome, but once the initial excitement wore off, they were just stamps to me once again. Well, the USPS has something really interesting to offer now. To celebrate the total solar eclipse visible in parts of the United States on August 21st (this is the first total solar eclipse visible in the US since 1979, and the first traveling across the entire country since 1918. It’s a big deal. 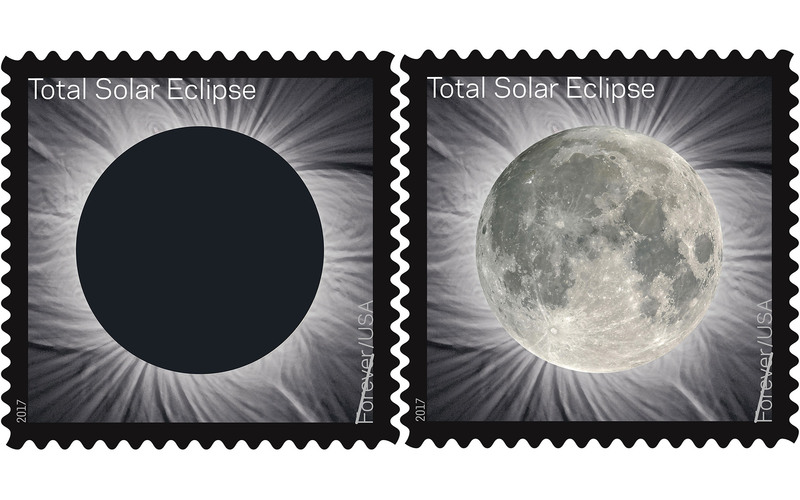 ), the US Postal Service is releasing these cool commemorative stamps that can change based on heat. When they are at regular temperature, they appear completely black, but when rubbed with your ringer, the thermochromic ink reveals the moon. It’s like those heat activated mugs that we all love. I hope they make more stamps like this.